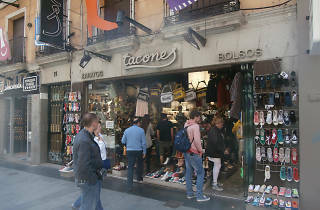 Always full of people looking for the latest in shoes at good prices, Tacones has become one of the classic places to call in at when shopping in Calle Preciados. 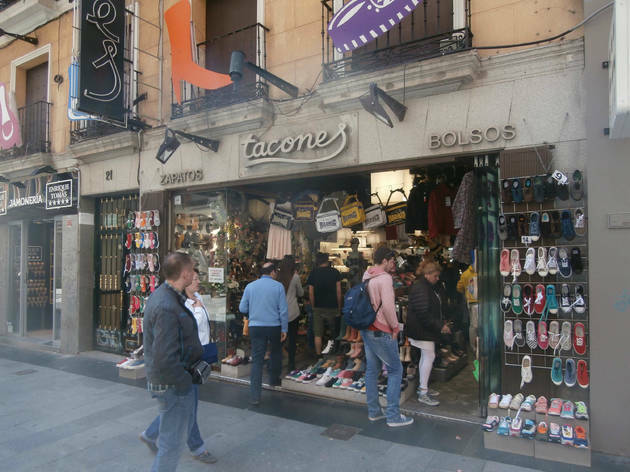 Here you’ll find footwear for all tastes,from sandals to wellies, combining the latest trends with very reasonable prices. Sol (M: L1, L2, L3), Callao (M: L3, L5).